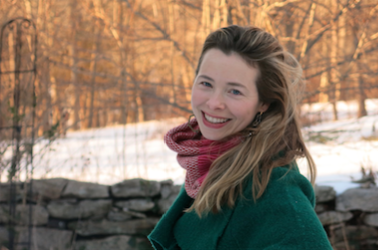 We’re excited to announce that Alison Moncrief-Bromage will be the new writing tutor in Ezra Stiles College. Alison’s poems have appeared in the Paris Review, Denver Quarterly, Barrow Street and elsewhere. Her first book of poems Daughter, Daedalus won the T. S. Eliot Prize for Poetry and is forthcoming from Truman State University Press. She comes to Ezra Stiles College after having tutored in Timothy Dwight College and in the Directed Studies program. Alison lives by the shore in Stony Creek with her husband and two kids. She is a canner of vegetables, keeper of bees and a retired roller derby jammer.